CANCER IS THE #2 KILLER OF MEN AND WOMEN IN THE US. EARLY DETECTION COULD BE KEY TO SAVING YOUR LIFE. CALL US TODAY! EARLY DETECTION COULD SAVE YOUR LIFE! Cancer is the #2 killer in the US amongst men and women. The Lung CT scan can detect early, and yes, potentially malignant nodules. The National Cancer Institute reports, screening CT exams have been shown to reduce cancer deaths. Yearly low dose CT Scans before symptoms start helps lower the risk of dying from lung cancer. American Cancer Society. The Full Body CT scan analyzes three major areas of the body: the lungs, the heart, and the abdomen/pelvis. Three major areas where cancer and other silent killers lurk. Make regular screenings for cancer a part of your wellness routine to support your healthy lifestyle. Call Smart Scan to learn about our affordable Screening CT tests! Our number is 727-450-0203. Smart Scan utilizes state of the art low dose 64-slice CT Scanners to look inside your body to detect early signs of heart disease and cancer. Your results are read by Smart Scan’s team of medical professionals and board-certified radiologists. Early detection allows doctors to treat patients sooner resulting in better outcomes for patients and their families. 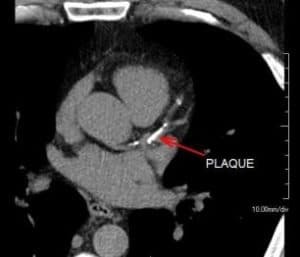 This early lung cancer was found before the patient had any symptoms. It was cured with surgical removal. Renal cancers are extremely difficult to cure once they have spread. This patient had no symptoms. 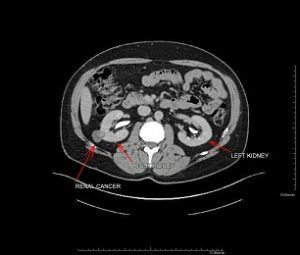 The Full Body Scan revealed the tumor while it was still curable with surgery. The Full Body Scan detects and quantifies Coronary Artery Disease earlier than any other test. Early detection and treatment can lower the risks of heart attack and stroke.